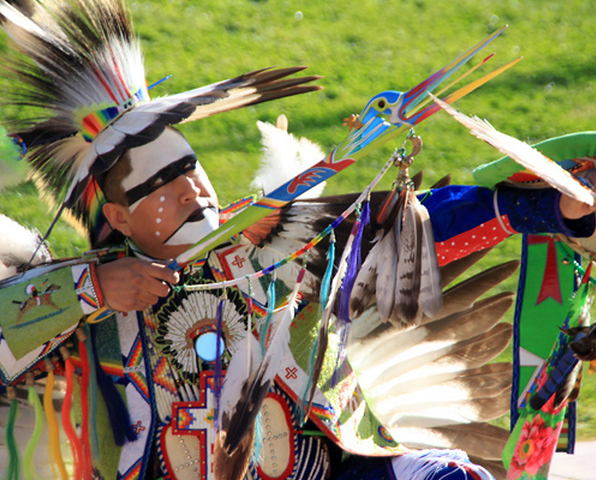 The Yellowhouse Native American dance group is comprise of a team of talented performers and distinguished artisans. A talented assembly of artistians display cultural significance and traditional values through storytelling, musical expressions and intertribal dancing. 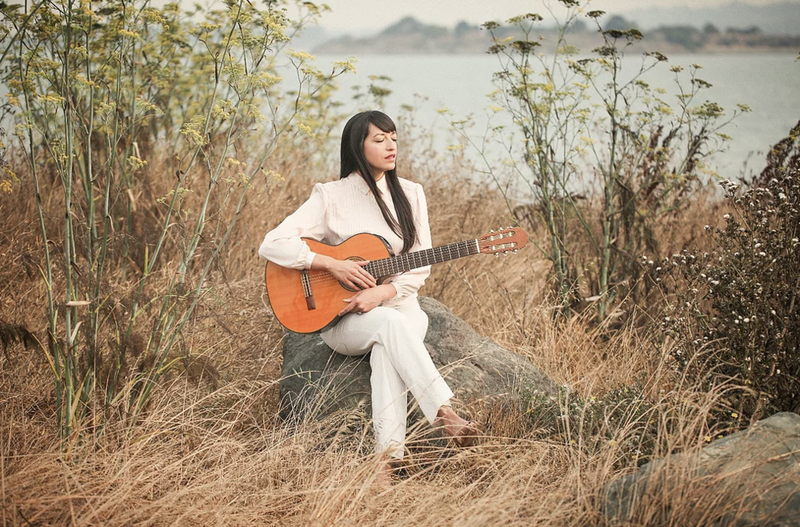 Among the Bay Area’s bustling music scene is singer-guitarist- social activist Diana Gameros. From the age of 13, Gameros has resided in the US, and for much of that time, she’s been an undocumented immigrant. Having spent her teenage years in Michigan and adult life in San Francisco, Gameros has longed to visit the land where she was raised. With a sense of loss and being absent from many family milestone moments, she channels her fears, guilt and powerlessness into a beautiful tribute reminiscent of her childhood in Mexico. Meklit is an Ethio-American vocalist, composer, and cultural instigator bringing together Ethio-Jazz with a singer-songwriter's storytelling and strum. She has received musical commissions from Lincoln Center for the Performing Arts and the MAP Fund and has toured extensively across the US, UK, and East Africa. Meklit has been an artist-in-residence at NYU, and collaborated with NASA Astrophysicist Jon Jenkins, musical legend Pee Wee Ellis and the BBC Philharmonic. She is a Co-Founder of the Nile Project, served as musical director for the beloved Bay Area powerhouse UnderCover Presents, and sang alongside Angelique Kidjo and Anoushka Shankar as a featured singer in the UN Women Theme Song. Carmela Ramirez is one of the most influential Producers in the greater Phoenix area and an award winning Performing Artist who has used Arts, Culture and Community as her base for creative entertainment, community engagement and building bridges of understanding. Carmela performs Classic Latin Jazz and fuses Afro-Cuban rhythms into Classic Jazz standards. As a performing artist, I have followed the path of many artists before me who have used performance platforms not only to entertain, but as platforms of communication. Therefore, I lend my talents to various community outreach projects such as arts and culture, education, health, civics, social justice, special needs and more. If I can open doors of communication through music performance or production, then I have used my talents well. Samora Abayomi Pinderhughes is a 25-yr-old composer & pianist, known for large multidisciplinary projects and for his use of music to examine sociopolitical issues. Samora has performed in venues including Carnegie Hall, the White House, MoMA, the Sundance Film Festival, and Monterey Jazz Festival, and has toured internationally with artists including Branford Marsalis, Christian Scott, and Emily King. Samora is the creator and composer of The Transformations Suite. He has written music for artists including Kenny Barron and Common; and is the composer for the film "Whose Streets". He is also a member of Blackout for Human Rights, and was musical director for their 2016 #MLKNow and #JusticeForFlint events. Fiesta Mexicana Dance Company originated in Chicago, IL and in 1995 the group was brought to Arizona. Daniel Martinez, who created the group directs and choreographs the company as an after school program for youth of all ages; to preserve and promote Mexican dance traditions, ranging from pre-Hispanic to modern. As the program grew, the needs of the youth involved in the dance company became overwhelmingly apparent. Many of the youth dancing with the program were “at-risk” individuals, whose alternatives for after school activities included gangs, drugs and violence. DEFAP was established as a nonprofit organization in 1998 to provide a safe place for youth to go during non-school hours and positive alternatives to unhealthy behaviors.